In all likelihood, you have experienced dehydration at some point in your life. Fatigue, headaches, and muscle cramps are all symptoms of dehydration that can negatively affect your day to day routine. These symptoms are especially harmful when it comes time to exercise. Both your performance and what you get out of your workout will suffer if you aren’t properly hydrated. Making sure you are hydrated before you hit the gym is critical, especially when it is warm out. If you are dehydrated prior to working out, your core temperature will rise faster, and your heart will have to work harder than usual. All this to say your performance will suffer. Getting plenty of fluids before working out will help you get the most out of your exercise session. Not only that, you will feel better while you are doing it. During your workout, it’s important to keep drinking water. Being dehydrated will affect your energy levels, and make you feel weak. Your muscles are three-quarters water, so if you aren’t properly hydrating, you will feel the strain. As little as a 1% drop from optimal hydration can reduce your physical ability by almost 5%! Reduced ability will lead to reduced results, as you won’t be able to work as hard and burn as many calories in the long run. Hydrating after exercise will help restore your fluid levels and speed up the recovery process. The sooner you can replace any lost fluids, the sooner you will feel better. Being properly hydrated will also cut any cravings, so you are less likely to indulge after a strenuous workout. Finally, proper hydration provides a boost to your metabolism which will ultimately help you burn more calories. 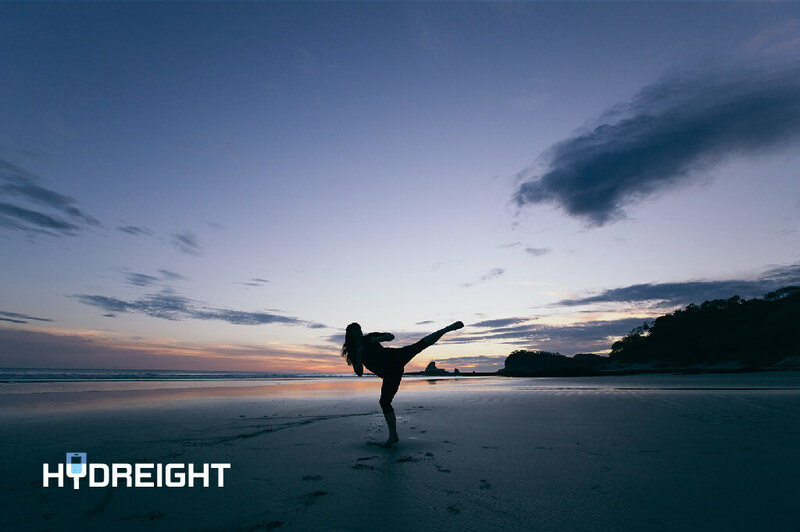 With Hydreight, you can get the fluids your body needs, faster. By booking an IV drip prior to or post workout, you can both enhance your performance, and get better results. For those of us who seek peak physical fitness, or who just need a little extra boost to get us through a tough workout at the end of a long day, there is no better solution.